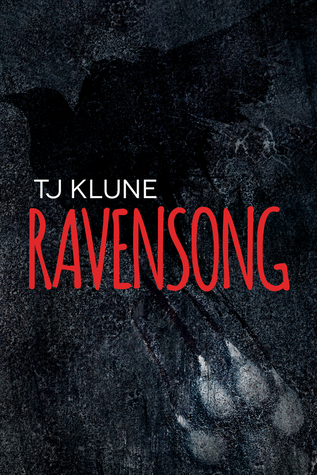 I may have damaged some ear drums in my squealing excitement following the news that Ravensong was in the works. Mark and Gordo had so much angst, anger, and longing going on in Wolfsong that I just knew their journey would be hard. However, this is TJ we’re dealing with, so hard is an understatement for the mountains Mark and Gordo have to climb to find a bit of peace. Ravensong is intense, fast paced, and gruesome. It doesn’t let up until the end. Wolfsong continues to be my #1 but this isn’t too far behind. We don’t get the overly emotional displays that we had from Joe and Ox. The life stages are different and the men are hardened by tragedy and betrayal. I went through the whole read knowing it wouldn’t be as lovey dovey or swoon worthy and I was right… until 2 sentences proceeded to melt my heart and make me giddy. Side note: The early days when Mark was *wooing* Gordo had be grinning like a fool. Although this book highlighted the relationship between Mark and Gordo finding their way to coupledom, it’s so much more. The Pack is a major element and their growth towards cohesion and being battle ready takes center stage. I have major heart eyes for all the characters, the family they’ve built, and the strength each possesses no matter their species. With being such a serious book, there are many opportunities to take a much needed breath with the crazy antics and conversations that pop up. I’m excited to see how these relationships evolve throughout the series. Ready for one hell of a rollercoaster ride with the Bennett’s? Grab your blanket, glass(es) of wine, and a bottle of antacids. Definitely recommended. P.S. It wouldn’t hurt to revisit Wolfsong as a refresher before diving in because it references things that we *should* know already but may not remember. P.P.P.S(is this even a thing?). I’m ready for Carter’s story tomorrow (Too soon?). Please and Thank you.